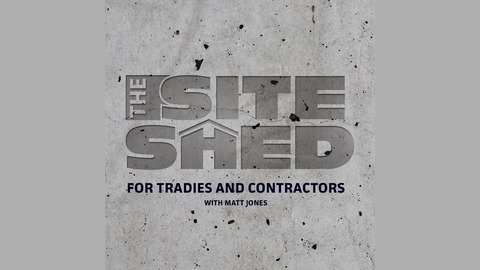 The Site Shed is a podcast designed to assist and educate trade based business owners around the globe with business related topics and current affairs. The podcast is targeted to tradespeople and contractors like plumbers, builders, electricians, tilers, roofers, locksmiths, landscape gardeners & horticulturalists, printers, chefs, hairdressers, however it is a small business podcast so it also suits anyone that is in business. Facilitated by former plumber Matt Jones, this podcast addresses topics related to the trades, such as; apprenticeships, technology, business tools, web, digital, cloud, content creation, SEO, marketing, as well as regular guest appearances from co-host specialists, successful case studies, good and bad experiences and lot's of do's and don't that have been learned through the school of hard knocks. Matt's unique approach to communicating relevant topics is both refreshing and enjoyable. 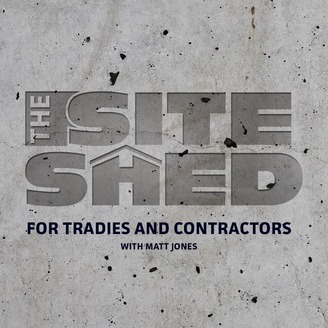 The podcast is a combination of Matt's experience as a plumber of 12 years, combined with his knowledge of the digital and business space as the owner of Tradie Web Guys, which is a company that helps tradespeople and contractors grow their online presence. Tune in on iTunes and turn your earbuds into a university. The Future Of Energy series has been designed to offer multiple perspectives from various guests within the energy sector. Comprising of three separate episodes and three separate guests, we cover the evolving energy market, from the grid and our energy providers, right through to the residential electrician, who's out there installing solar panels on homes. Throughout this series, we talk about fossil fuels, solar energy, wind and hydro energy, even nuclear. They are three different conversations at three different levels but with one common theme in understanding 'the future of energy. The purpose of this series was to gain some insight into the rapidly changing world of solar energy from multiple perspectives and viewpoints. In part one, we had a brilliant discussion with Andrew O'Farrell, who works in the energy sector as an energy trader. It was a powerful episode because effectively, the companies that Andrew works with are in control of sourcing the power that makes in possible for you to read this article. I loved his perspective because as someone that is surrounded in a market that is dominated by fossil fuel, there is some surprising insight to where that might end up in the future. In the second podcast, I speak with Alex from ShineHub about the fantastic initiatives that they work on that sees entire communities working together to harvest, use and store solar energy. This conversation was about communities becoming more self-sufficient and working together to reduce their costs and reduce their carbon footprint. I absolutely loved it. In this podcast, which is the third and final episode of 'The Future Of Energy' series, I am speaking with Joe Edginton from Energy Culture about the changes that he sees on a residential scale when it comes to solar power. We talk about solar panels, battery storage units, costs, rebates, licensing, qualifications and lots more. This conversation really brings the series full-circle, making it relatable to anyone that is in a position which might see them becoming an installer themselves, or having a system instaled. I hope you enjoy this podcast and if you do, please share the love by sharing it with a friend.